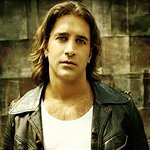 GRAMMY-winning hard-rock singer and lyricist Scott Stapp of Creed and Art Of Anarchy is offering one lucky fan and a guest the chance to win a hangout with him in his Nashville, Tenn., studio as he rehearses for his upcoming Proof of Life tour. Any donation is greatly appreciated, and any amount more than $10 will win you extra entries and rewards ranging from a signed lyric sheet to a personal guitar lesson with Stapp. The campaign ends Aug. 18, and all proceeds will go to MusiCares' addiction recovery and health services for music people in need. “MusiCares has been a tremendous part of my life, helping me during an extremely difficult journey,” said Scott. To enter, visit Prizeo.com and make a donation to MusiCares.